As a full-service Occupational Medicine Clinic, we strive to provide excellent care and service to you and your employees. We partner with you to keep your employees well and return them to wellness when injury or illness occurs. 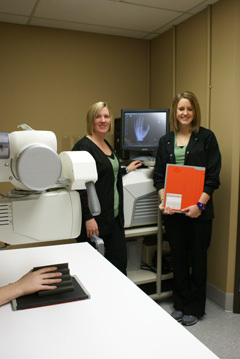 In addition to injury related care we provide a wide variety of other work-related, medical and screening services. Please visit the Services page for a more complete list of the services we provide. Why Choose Oregon Occupational Medicine? While our name may be new to Occupational Medicine, our carefully selected team of healthcare professionals are not. Together we bring extensive experience in Occupational Health, Emergency Medicine and Physical Therapy. This experience combined with a proactive approach to prevention and treatment help you reduce lost productivity and decrease the costs associated with injuries. We believe that high-quality medical care is fundamental in an individual’s recovery from a work-related injury or illness. Expertise: Our team has extensive experience in occupational medicine and worker’s compensation claims, meaning we are prepared to meet the unique needs of employers and workers. Prompt & courteous service: We strive to keep wait times short and the quality of care high. We treat you and your employee as individuals with the care and respect you deserve. Same-day services: Acute injuries, drug/alcohol screening & immunizations will be seen same-day. Communication: We will keep in touch with you regarding your employee’s injury care, exam outcome or status of pending information. Record-keeping: We utilize electronic medical records, this means records are quickly and securely accessible by our team. You can be assured that documentation you receive from us is clear, concise and legible. Record delivery: We are equipped to electronically fax or securely email documents to you, thus expediting our ability to provide you with information while decreasing paper waste for both of us.